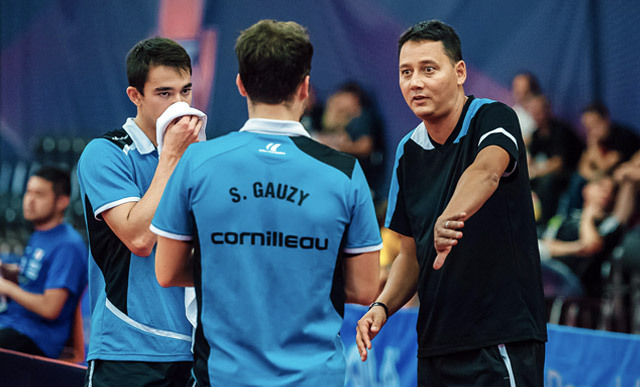 Jean René has been a member of the LMC coaching team since early 2017. He has celebrated great successes as Brazilian national coach over the past eight years and has developed his team into an international force. He has played a major role in shaping players like Hugo Calderano. 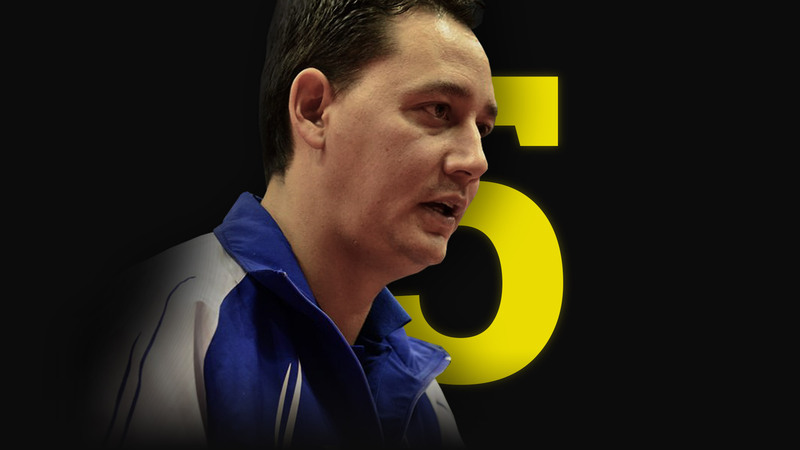 Jean René has supported top players such as Jean-Philippe Gatien (France), Peter Karlsson (Sweden) or former European Champion Michael Maze (Denmark) in his function as coach of Levallois Sporting club – since 2017 he has looked after the boys of the LMC. We talked to him about his job at the LMC, his relationship with the boys and what happens when two of his students meet in a tournament. When I was young, I wanted to play tennis…but it was raining 3 training days in a row, I could not practice and was really frustrated… I understood that couldn’t happen with Table Tennis, therefore I decided to invest in this sport. From this moment, my passion had been roused. This passion is still there, even if after 30 years my approach is a bit different (fortunately J). I love table tennis, I really appreciate this sport activity and what follows from it, but it helps to appeal certain emotions and to discover the human in a deeper way, which otherwise would stay hidden. What does a typical day as LMC coach at the World Tour look like? That’s really different according to the player I am accompanying. We spend a lot of time with Simon at the sport hall, 2 long practice sessions a day before the event. It is mostly one session (sometimes two) with Hugo but we discuss quite a lot between. Concerning my coaching work, I am always available when they need to take time together and ask for support. I’m also sitting a lot at my desk and I work with video analysis, and let’s say I observe quite a lot what happens to opponent players. The LMC has engaged you because they value you as a very experienced and modern coach with innovative methods. What are your methods? Are you gonna tell us what makes them special? I feel proud from the confidence I received from Ox. I think I still have many things to learn but I am a lucky guy, I always had in my career the right environment and the right persons able to guide me. My method is quite simple: I observe, I listen, I propose and when we have outlined a path, I make sure we pursue it consistently and I create the appropriate framework. Concerning the technical and tactical area, I’m using an analysis software, that’s maybe why people around me gain the impression of a modern coach. How would you describe the relationship between yourself and the talents? Are you trying to build a more friendly relationship or would that be more detrimental to the goal? Only one word comes to my mind: confidence. Of course to build a friendly atmosphere between the coach and the player can be useful, it depends a lot on the profile and age of the player. Concerning our situation, that’s a bit different. I don’t want to be their friend, their brother, their father, etc. I am only (but that’s already quite a lot) their coach. We have a deep relation, we can speak face to face without the fear of being judged, the respect is the fundamental value of our commitment to each other. How do you feel when two of your players face each other on the World Tour? How would you feel if two of your players met in Tokyo? When they face each other on the World tour, I feel pain for the looser. Tokyo 2020? I will feel fantastic if they play against each other in final. That would be great!! !